Ugh. I cannot believe this weather. It’s times like this when I have to agree with Brent. Why on earth did I leave southern California?? It is April! Blah. On to the food. My friend at work is a sweetheart, who often brings me delicious Indian food for lunch. So when she asked if I could make her some bread she found in Cooking Light, I of course agreed. I made the recipe as written for her. Unfortunately, it did not come out well. I cooked it for 60 minutes and it looked and felt done, but after cooling in the loaf pan for 15 minutes, I went to take it out of the pan, and it completely fell apart. Luckily, while the loaf was baking, I was modifying the recipe to make some muffins for myself, and the muffins turned out fantastic! I’ll be bringing her some of these instead. These muffins turned out spicy and moist and delicious. I made them with some whole wheat flour, less sugar, and I wish I had soy milk to make them vegan, which would have been easy to do. I also added raisins and a few more nuts. Yum! I’ve included my modified recipe below. Enjoy! Mix together flours, sugar, spices, salt, and baking soda in a large bowl. Add the apple, zucchini, carrots, nuts, and raisins to the flour mixture. In a small bowl, whisk together milk, oil and egg replacer. Add liquid ingredients to dry ingredients and mix until just combined. Divide batter into greased muffin tins (I got 10) and bake ~20 minutes. These were so good and really quick! I love the spiciness in them fromt the additional cloves and nutmeg. I think they’ll become a staple. 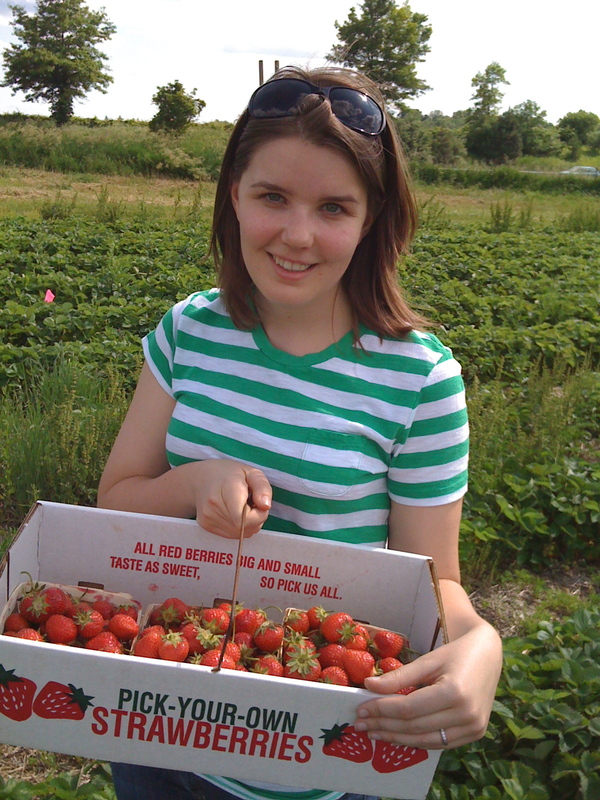 Update — Happy Birthday VeggieGirl!! Posted in Uncategorized and tagged Muffins. Bookmark the permalink. Add in beer and mix until combined. 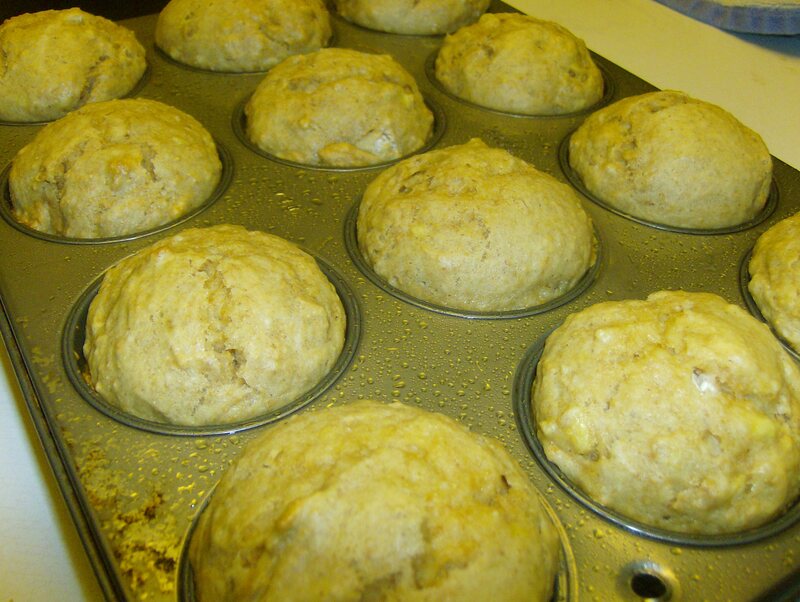 Pour into 12 muffins tins, or 1 9×5″ loaf pan. 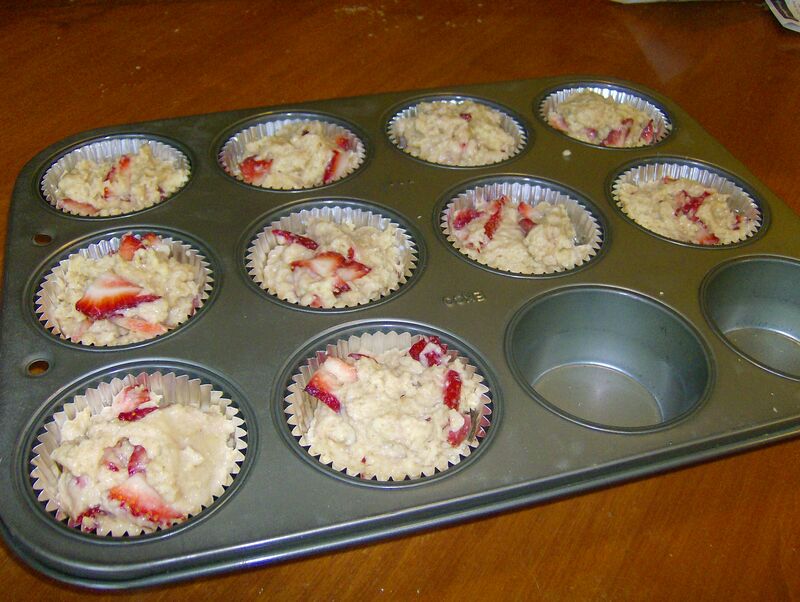 For muffins, bake approximately 15-17 minutes. These were really good. I’m eating one as I type with a bowl of leftover tomato soup from last week. They make excellent dippers. You can use whatever herbs or cheese you want. Cheddar would be great I’m sure, as would some chives. This is just what I had on hand. Also, I broke into Brent’s stash and used a Sam Adams White Ale. 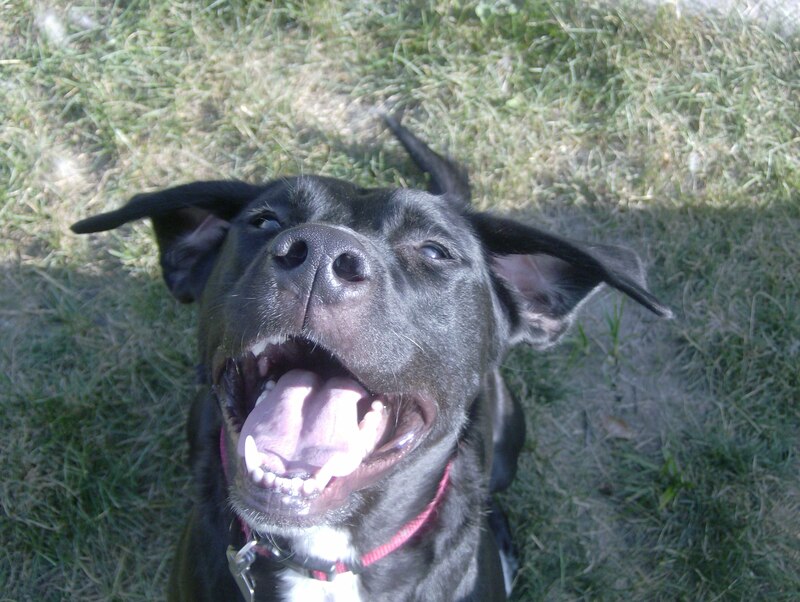 How is everyone adjusting to the reality of Monday morning? Are you one of the lucky ones that doesn’t have work today? I did not get Brent any crackers to take with his lunch. (His lunch always has like 5 parts. Dudes eat a lot.) So, I had to make him another component. We had 2 bananas left from last week that were brown, and to spice things up a bit I decided to add some peanut butter too. I wanted to make the lower-fat banana bread from Veganomicon, but I was out of applesauce, so I just decided to play around. 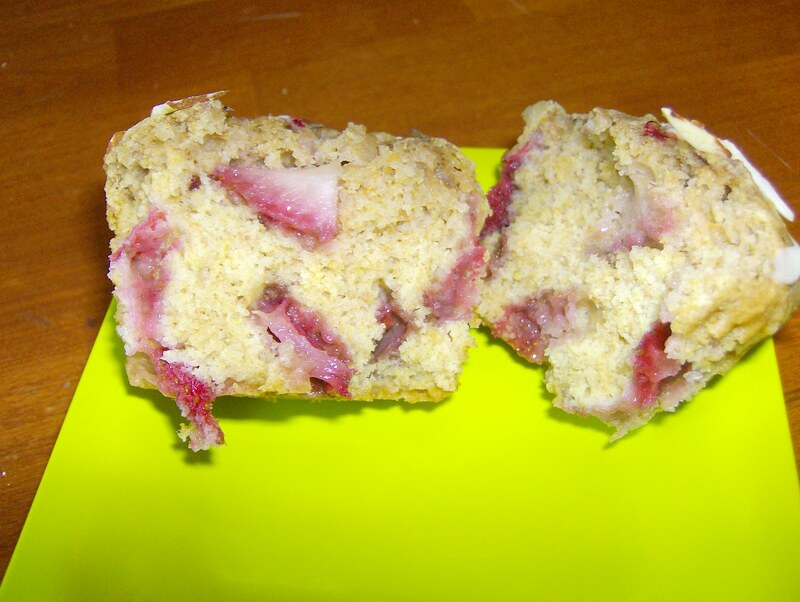 I usually find quick breads and muffins are pretty forgiving. There wasn’t really a method to my madness, I was just throwing stuff into the bowl until it felt like the right consistency. Brent (not normally a muffin man) said they taste good, so he approves. Beat banana, PB, and sugar together until homogenized. Add in oil and milk and stir to fully combine. Sift together flours, salt, baking soda and spices. Add dry ingredients to wet ingredients and mix until just combined. If mix looks too dry, feel free to add a dash more milk. PBs can vary in consistency. I got 11 muffins, but I probably didn’t plan well, so you should be able to get a dozen. I really like the combination of peanut butter and banana in these. Neither is very “in your face,” but they both work really well together. The muffins aren’t super moist. I think they’re more cakey in texture. I recommend enjoying one of these with a glass of milk. Really tasty. I think I’ll definitely make these again, maybe with some almond butter. Posted in Uncategorized and tagged Muffins, Peanut Butter. Bookmark the permalink. I have to admit I did not believe all the hype about Indiana being a swing state. I guess because I live in a conservative section of a conservative town in a traditionally red state, so I’m surrounded by McCain signs daily. But I could not be more excited watching these returns! Still waiting on Lake County! Here is some food (none of it from tonight.) We ordered pizza and drank strawberry champagne. We’re classy like that. 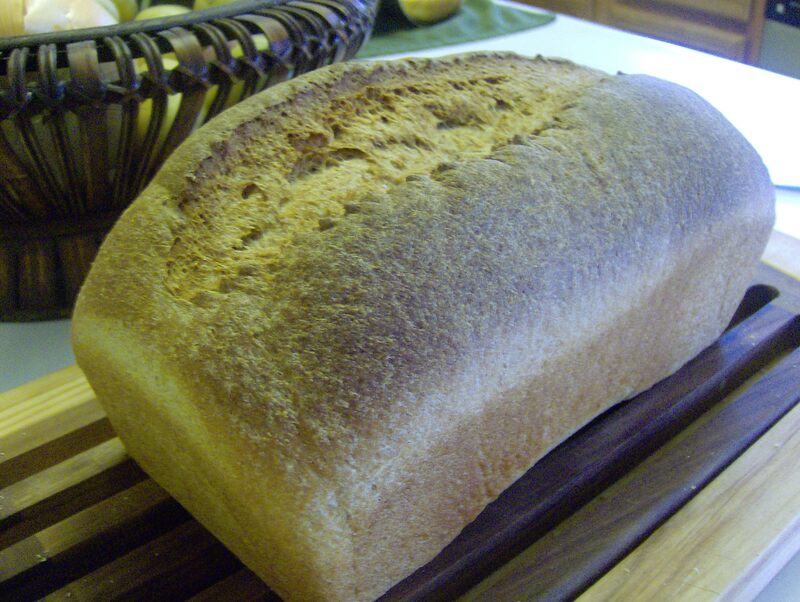 Here is some homemade honey whole wheat bread. 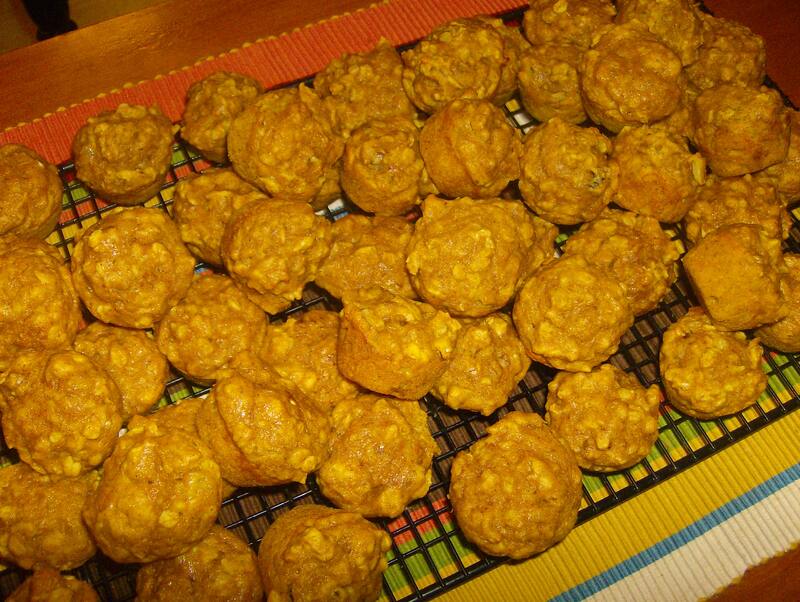 I had 2 super ripe bananas and some leftover pumpkin puree so I made some banana pumpkin oatmeal mini muffins. Mini things are so cute. Mix the dry ingredients together. In a separate bowl, mix banana, pumpkin, sugar, eggs, milk and oil. Add dry ingredients and stir until just combined. Fold in chopped walnuts if you would like. Preheat oven to 350. Put into loaf pans (2), muffins (~24) or mini muffins (60). I baked ~15 minutes for mini muffins. They make for easy snacking! Posted in Uncategorized and tagged Bread, Muffins. Bookmark the permalink. Whoops! I did it again… an unexpectedly long absence. I made quite a few things last week. 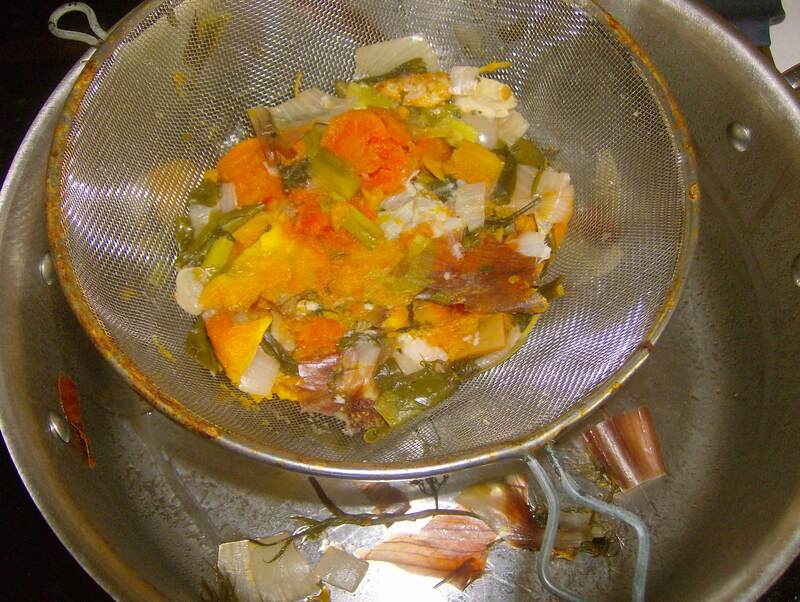 First, I tried my hand at making some vegetable broth. I figured with trying to save money on groceries, spending $2 or $3 on broth was insane considering I could make it from leftover scraps. I just threw a bunch of things in a pot with water: squash skins, onion ends, carrot ends, green bean ends, near the end of its life dill, some other herbs, salt. Here are the remnants after straining. 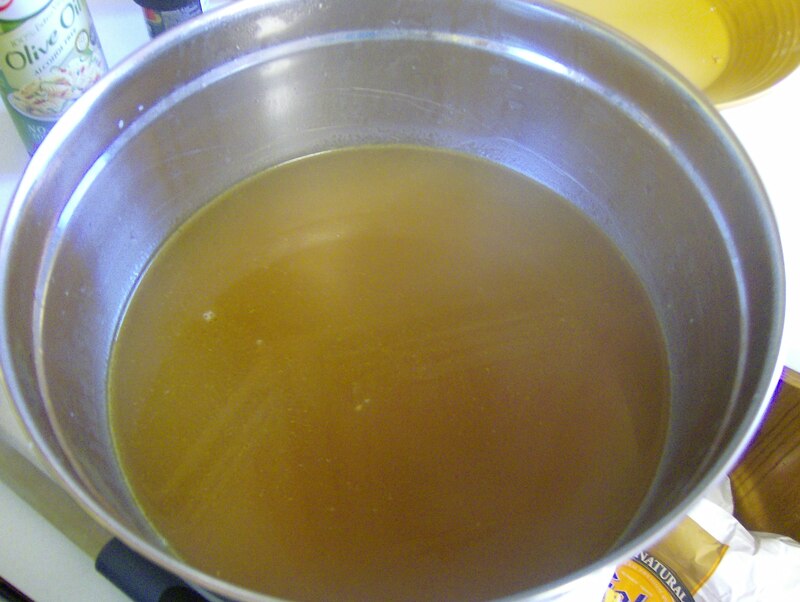 And here is my broth! Making my own broth is certainly something I’ll do in the future since it was pretty easy, and made me feel less wasteful by using the scraps leftover. 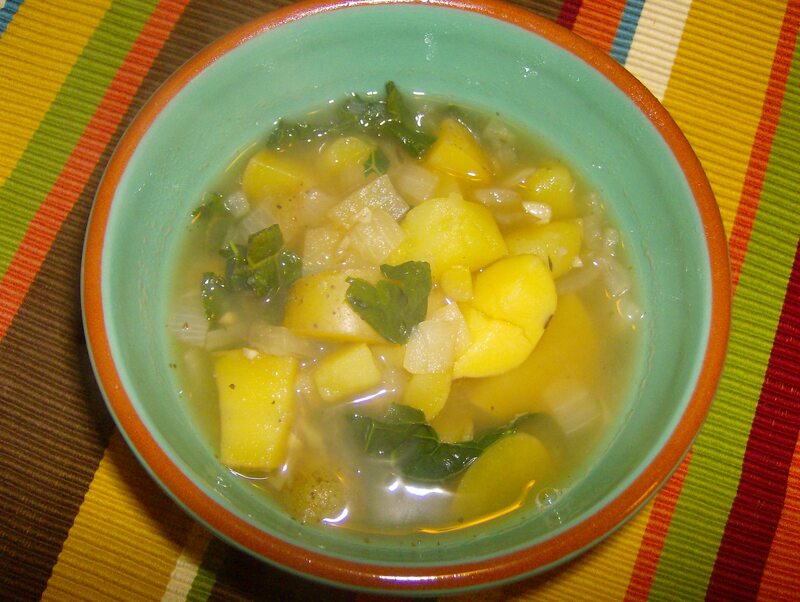 I then used this broth to make some Potato and Kale soup from Veganomicon. This is one of Brent’s favorites. 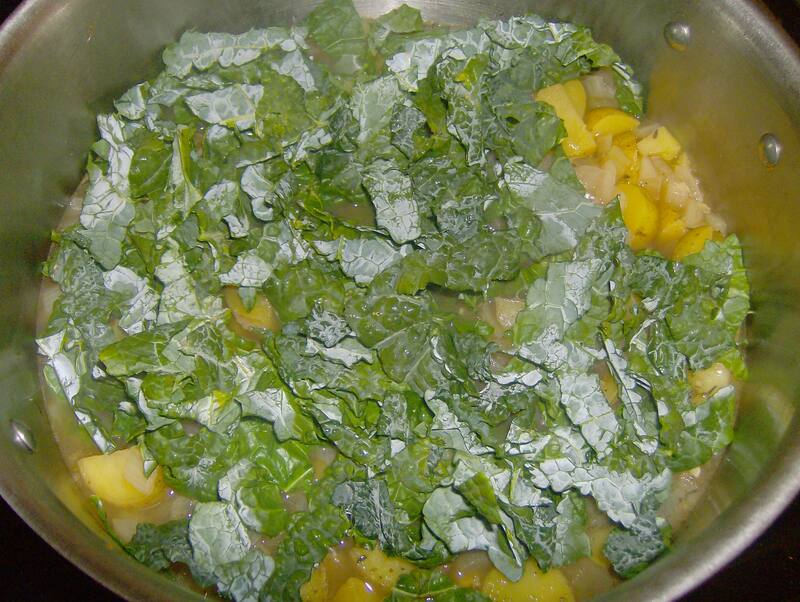 I like it because I love potatoes, and probably should eat more dark greens than I do. Look at all the kale! 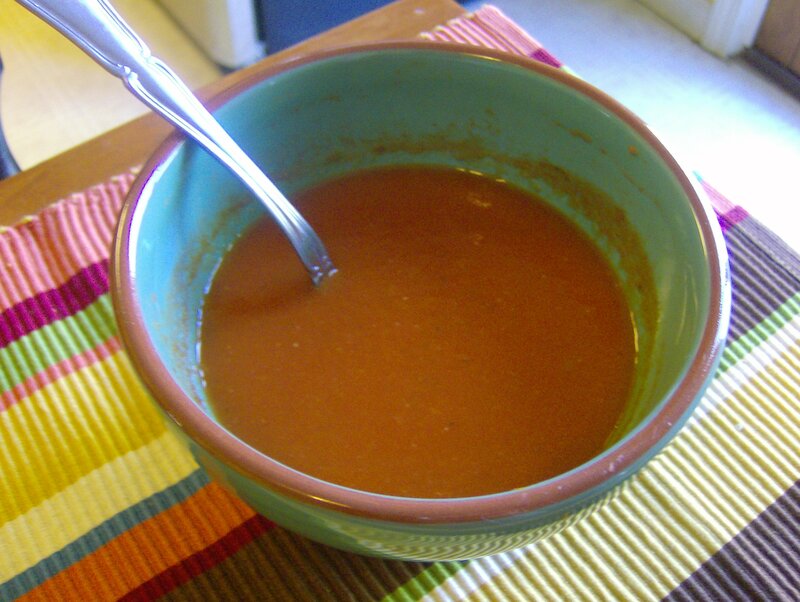 I also made some tomato soup, although truthfully I can’t remember what is in it besides a head of roasted garlic. I made it last week and then froze it. I’m enjoying it for lunch right now and whatever it contains is good. I may add a bit of sugar next time. 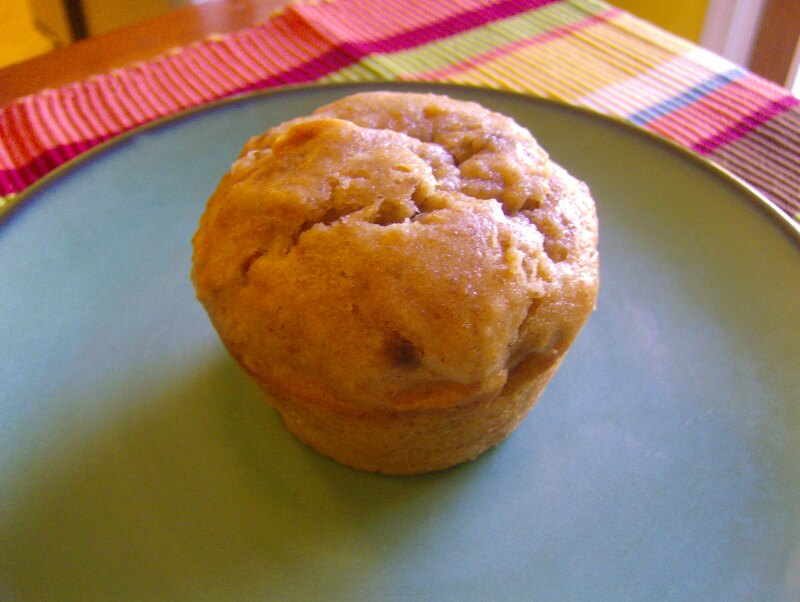 To go with my soup, I’m eating one of the Banana-Peanut Butter Muffins I made monday night. I love these. I was inspired by VeggieGirl’s recent recipe and they came out great. I whisked the mashed bananas and sugar with the wet ingredients, added the dry ingredients, put into a 12 muffin pan, and baked about 20-23 minutes. They’re delicious. Thanks for the inspiration VeggieGirl! Posted in Uncategorized and tagged Muffins, soup. Bookmark the permalink. They rose beautifully and came out smelling wonderful. Of course, I had to taste test them before giving any to my friend. I thought they were awesome (so I kept a few for myself too). We made this for dinner last night and it was great. 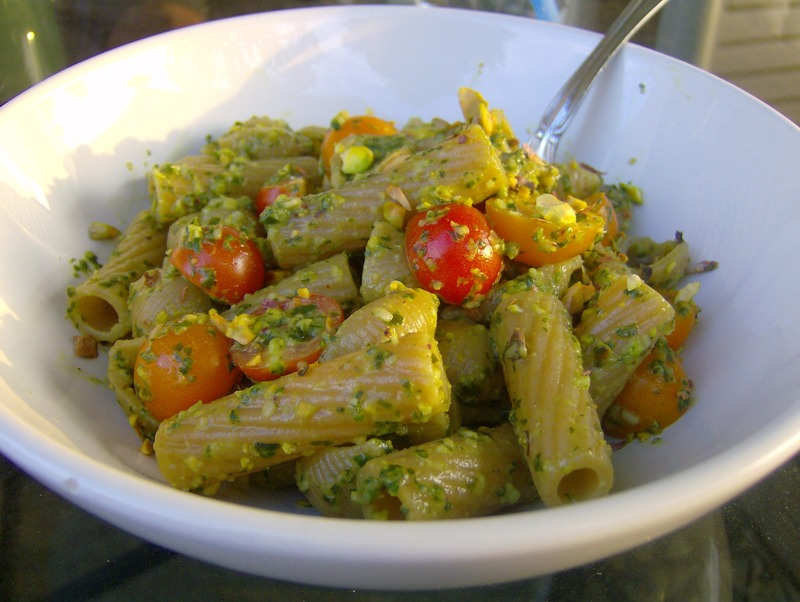 I had been wanting to have something pesto-y recently and this hit the spot. 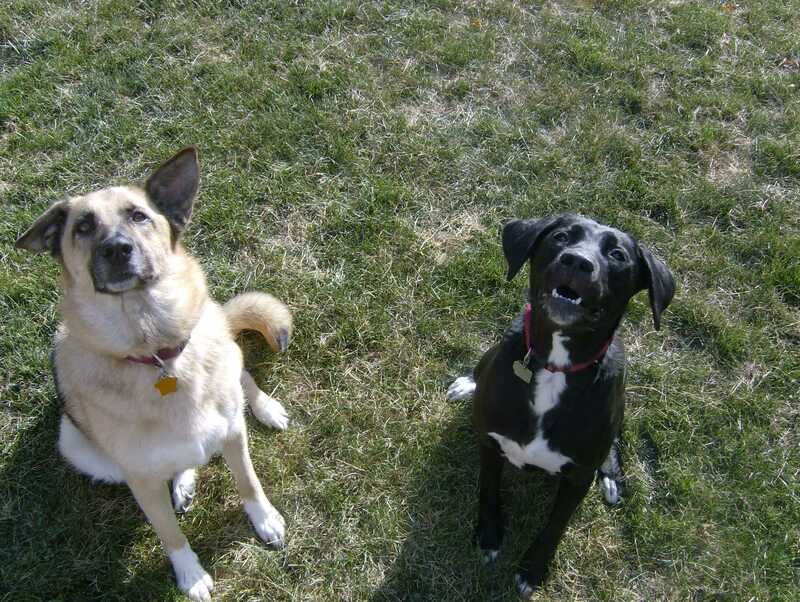 Also, I just think my dogs are cute and I assumed everyone would want to see more photos of them. 1/2 cup soy yogurt – I used plain but vanilla, or strawberry would be great too. 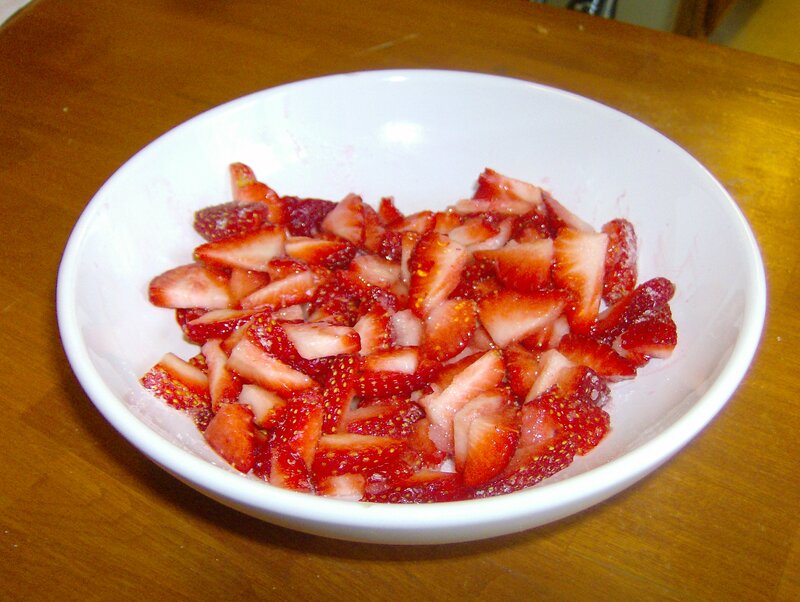 Mix 2 tablespoons sugar with sliced strawberries and set aside 15 minutes – until slightly juicy. In a large bowl, whisk yogurt, oil, sugar and extract together. Sift flours, baking soda and salt into the wet ingredients. Mix together batter just a few stirs. 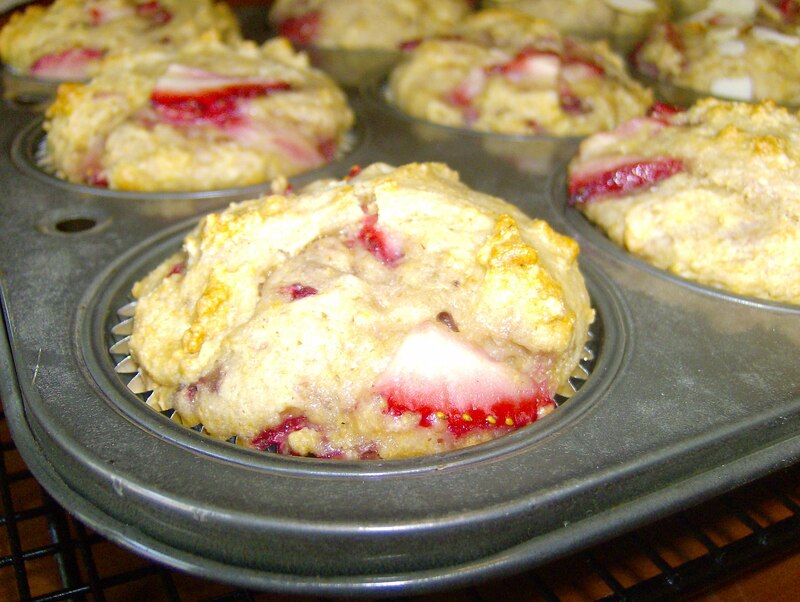 Add in juicy strawberries and fold until batter just holds together. Divide into muffin tin ( I got 10 muffins, but you could probably get 12 if you make them slightly smaller than I did). Sprinkle with almonds if using. Bake for about 18 minutes, or until a toothpick inserted in the center comes out clean. Posted in Uncategorized and tagged Larry, Lucy, Muffins, Pasta, Strawberries. Bookmark the permalink.